This Tuesday, in a stunning display of horrible judgment and complete and utter disregard for Wisconsin's tradition of honest, open and accountable state government, all 12 Republican members on the Wisconsin Legislature's Joint Finance Committee voted to end the state's 33-year old public financing system of elections and to use the funds to begin to implement the most restrictive and onerous voter identification law in the nation. The four Democrats on the budget panel opposed this misguided action. 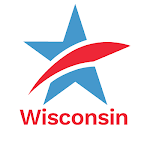 Wisconsin was one of the first states in the nation to pass and implement public financing for state elections, beginning in 1978. And less than two years ago, Wisconsin became the third state in the nation to pass full public financing for qualifying candidates for the state Supreme Court who agree to limit their campaign spending to $100,000 in the primary election and $300,000 in the general election. Both incumbent Supreme Court Justice David Prosser and challenger Joanne Kloppenburg agreed to the spending limits and accepted full public funding in one of the closest elections in Wisconsin's history. Now, Republicans on the Joint Finance Committee have swept away spending limits and public financing and have invited special interest groups and unlimited campaign money to fill the void left by the destruction of these reforms. Unlimited fund raising and spending by candidates and outside groups for all state offices will replace sensible spending limits, allowing deep-pocketed special interest groups to assert even greater control over Wisconsin elections and the public policy-making process than they do now. Governor Scott Walker first proposed this attack on the Impartial Justice Law and spending limits in his inaugural budget address on March 1st. In supporting this measure, three Republican State Senators who had supported public financing and the Impartial Justice measure in the past, "flip-flopped" and now oppose campaign finance reform: Senator Alberta Darling of River Hills, Senator Sheila Harsdorf of River Falls and Senator Luther Olsen of Ripon. All three face recall elections this Summer. Then, to add insult to injury, Republicans on the Joint Finance Committee decided to use the $1.8 million intended for public financing of state elections to begin the implementation of the new Photo Voter ID program -- the most restrictive and extreme such program in the United States, which the State Senate passed last week. In a single action, Wisconsin legislative Republicans have reversed and sent back into the Stone Age, two of Wisconsin's proudest and most widely heralded election principles: State Supreme Court candidates free from special interest taint and unlimited campaign fund raising, and the ability to cast a vote in Wisconsin without burdensome and restrictive conditions. Does this make you mad? It should! Contact both your State Senator and your State Representative and let them know you oppose ending public financing and using that money for voter suppression. If you are not sure who your State Senator and/or your State Representative is, go here. Joint Finance Committee Republicans Kill Public Financing to Fund Voter SuppressionTweet this!